For us, ecommerce websites are fun. You get to be shop anything you want from the comfort of your home. But for the ones creating a custom ecommerce website design, it is so much than just shopping carts and items on sale. Categories, sub categories, listing all products and allowing customers to make a payment by just punching in their credit card details! Ecommerce solutions have revolutionized the way we shop. It’s easy, cost effective, offering assortments to suit our every need. A good design is important no doubt but there are other important aspects that need consideration too. We have made a comprehensive list of such considerations. The speed of the site is one of the most important. The speed should be measured as the designers proceed with building it. They must put the site through various speed tests to ensure customers do not complain about the same; that they have an enjoyable shopping experience. All the products must have well crafted descriptions that may range between 75-200 words. These descriptions will give the customer a better idea of what the product is all about. Easier the ecommerce website is to navigate; easier it is to get more and more customers to buy the products. Categories, sub categories, search bars, filters, help the customer to look for stuff easily. If they do not find it easily, they would go to another site where it easier to browse and buy. An ecommerce website must optimize the best searching functionality. We are talking about keywords or key phrases here. Google Keyword Tool or WordTracker can be used to get desired results. Listing a stock level on a website selling products and services is considered pretty useful. Customers hate it when they are on the verge of ordering a product but then finding it to be out of stock. They are most likely to head to one of your competitors and find what they need. Your ecommerce website must be safe and secure. The customer will give confidential details- and everybody is reluctant to share this information online. You have to guarantee that the information would not be misused. Social media links must be added to the page clicking on which will take the customer to the respective FB, Twitter, Pinterest etc pages. This is the easiest way to inform customers about the latest news and trends, offers and discounts. Customers are also most likely to rate your services, spread word about your brand and review it! It takes a lot to become a popular and preferred ecommerce website. Adding details like payment options, delivery methods, return policy and other product and service related queries. More the information, easier for the customer to trust you and your products. 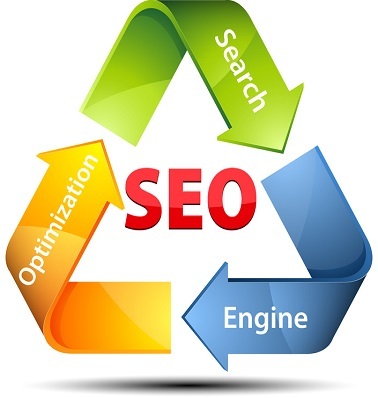 While you are designing the site, SEO requirements must be discussed with the designing team. It should be incorporated in all your product descriptions and the pages must ideally be linked to various pages to help improve your ranking in search engine results. Categories: web design | Tags: custom ecommerce website design, ecommerce website | Permalink. Do You Have A Custom Ecommerce Website Design For Your Business? Raising your search engine rankings and continuous monitoring means you will need dedicated resource to do the same. If yours’ is an ecommerce site, then it makes all the more sense. 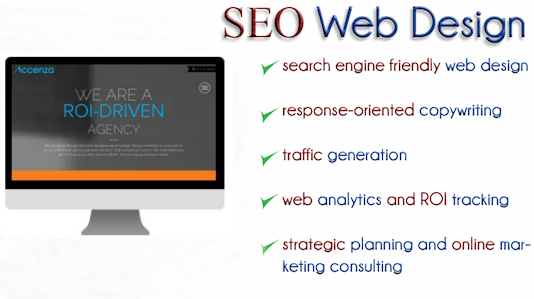 That is the reason why you need the best search engine optimization company. There are a horde of companies all claiming to be the best but then it becomes a tad bit difficult to pick the one. In fact it’s one of these companies that will help you make millions! So here is what you can do to shortlist the best few. Start with a little research online. You are bound to come up with numerous options but the tough part is to pick the one that will best suit your case. Every business has its own requirements and what works for one will definitely not work for the other. Tailor made solutions are required- and it order to do that, the company must understand what the business is all about, what the client is looking for. Based on that, they will be able to come up with solutions. A web design company that has been in the business for quite some time will know that keyword research is a very crucial aspect of internet marketing strategies. They will also tell you that you need content that will attract more visitors. The experienced professionals will be able to tell you that you need a responsive website builder to increase the reach of your website. An internet marketer will also tell you how important it is to build links to your site- also called ‘backlinks’. You must also optimize your website- that allows the visitor to buy, spread your word over the internet. It will also help your website to secure a good rank in the top search engines. What works like magic in increasing sales and gaining profits is a custom ecommerce website design depending on the type of business you have. So if your business still does not have a website, you might want to get it done on a priority basis- you are losing out on a lot of prospective customers and sale. Once you get a company website made, you will be able to see the difference for yourself! Categories: web design | Tags: custom ecommerce website design, responsive website builder, search engine optimization company | Permalink. It’s all happening online. If you have to make your presence felt, you need to ensure you have a strong foothold in there. This holds true especially if you have an ecommerce business and here to make crazy profits. Leveraging the internet to sell products is one of the best ideas one could have. You can have a jazzy website and still not make profits as expected. A major reason behind this could be your website design! It must be conducive to promoting your products and services and help in making sales. This is why you must hire a web design company that provides you with a custom ecommerce website design. 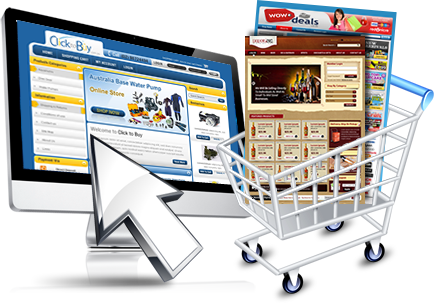 To begin with, your ecommerce website design must be designed to make things as easy for the people visiting the site. Right from the start- helping them making a purchasing decision, completing the ordering and payment process and receiving the product- everything must be easy and convenient. The easiest way to maximize usability, navigation must be simple and easy to use. The shopping cart function and the online payment functions must work without a glitch always. If there are any additional charges like postage or handling charges, it must be clearly mentioned on the website. 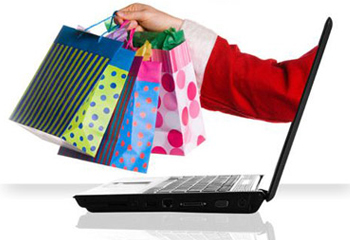 When shopping online, the most important assurance you can give to your customers is that payment is safe and secure. Any failure results in lost sales. There must also be help or support function. Customers might get stuck at some point and they might need help. If they have questions, make sure there is a FAQ section to go back to. A live chat function also helps a great deal. In case the customers want to reach out to you, display a number or may be a helpdesk email id. Only the best search engine optimization company will tell you that your website must be designed around the main goal- generating sales by selling the products and services online. All your products must be presented in an organized and attractive way so as to more customers every day. 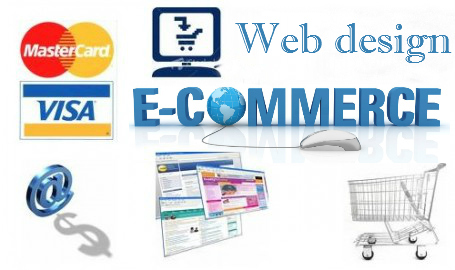 All these points must be taken into account when working on a custom ecommerce website design. Categories: web design | Tags: custom ecommerce website design, website design | Permalink. The best way to analyze your website’s programming, coding or content is through search engine optimization. Nothing short of the best search engine optimization company knows to offer a number of benefits that helps boost visibility of your website when users type in relevant keywords in search engines. It is a tough competition out there with millions of websites and every business owner is trying to rank higher in search engines. Quality content, valuable information, important details, fast downloading web pages, attractive sites etc are features that users are looking for. One sure shot way to have your website appear on top of search engine results ensures an expansion of your current customer base as well as improving your company’s profit as well. But only an experienced company can tell you what changes to make and give you a custom ecommerce website design that will make best use of this platform. There are numerous such companies that have set up shop recently so how do you select the best one? Below are a few guidelines that will come in handy. Take a look. Ask the company if they have an available case study of their previous SEO work, which will give you enough ideas that will help you in making an informed decision. You can always begin with asking for an initial evaluation of your website and recommend what is to be done to make it optimized. They might suggest a custom ecommerce website design if it applies to you. You must inquire about how long the company has been operating or active. They must be able to give you more information about the clients they have worked with, with who you can talk about their services or performance. They must assign you one account manager exclusively for you who will be your point of contact with the company. Most responsive website design company can and will promise you top results on all search engines like Google, Yahoo, Bing or MSN- know for a fact it is not possible. No company can guarantee such a thing. Search engines run on algorithms, considered top secret to many. Before you sign up, make sure you it’s a competent and reputed company like http://accenza.com/. Categories: Uncategorized | Tags: custom ecommerce website design, esponsive website design company, Search Engine Optimization, SEO Company | Permalink.